The interesting thing about this season is how long the March Browns have been going for. 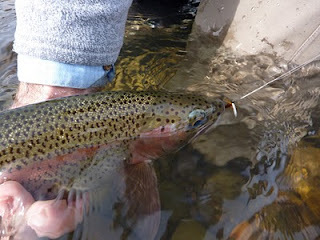 They have still been coming off with significant hatches, along with pale morning duns, and the occasional green caddis. The green caddis hatch has not really gone full throttle yet; although the fish are eating the green caddis wet flies with regularity. When it gets going, fishing will really get good, and this is the latest it has been without the green caddis hatching in full effect since I have been fishing the river. 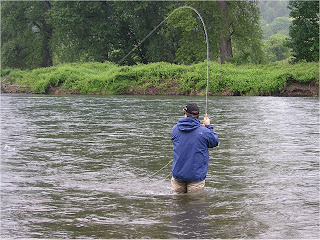 While we are waiting for the green caddis hatch to come on harder, the fishing has been strong most of the days with solid nymphing and fair to good wet fly action. 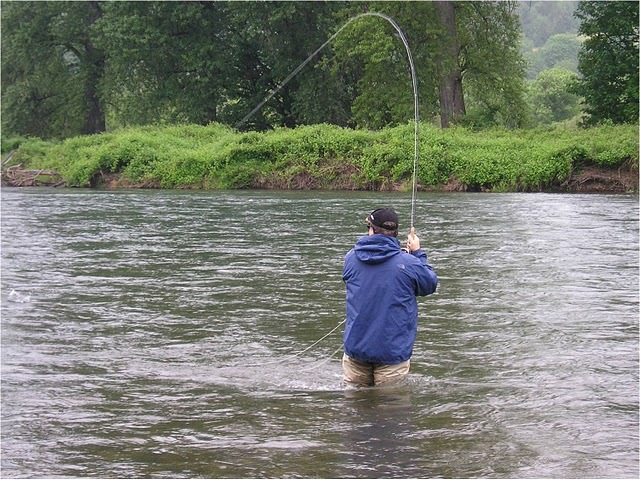 The higher flows are keeping the average anglers off the river, but fish live in water and have to eat. They do well with higher flows, and the trick is getting to them. Having a drift boat is clutch when the river has a year like this, but when you get out there; you'll find plenty of probable water to find large trophy rainbows holding in.